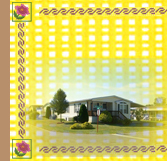 Want more information about our manufactured housing community? questions about the Chambersburg and Franklin County Area contact us. Copyright © 2006-2017 - Home Sweet Homesites A provider of quality manufactured home communities in PA and OH.